Forecast 2017, interview with Raymond Merriman. Raymond Merriman interviewed by German Journalist and Astrologer Antonia Langsdorf, describing the incredible spring geocosmic lineup in force March 23-June 29 2016,and its association with financial markets and world affairs. 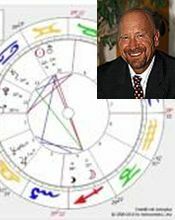 Introduction to Financial Astrology and Forecasts for 2010-11 by Raymond Merriman, interviewed by Irma Schogt in Amsterdam, Netherlands. Recorded December 2009. *) To be activated in Youtube by clicking the first icon on the right hand side below the video screen, choosing 'Subtitles' and language (Netherlands).